AmazonBasics | The Air Geeks, reviews of air conditioners, dehumidifiers and air purifiers. 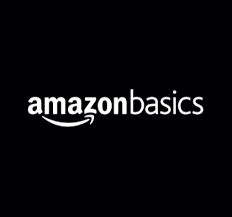 AmazonBasics is a label brand privately owned by Amazon that was launched back in 2009 to help produce products for the e-commerce giant that are sold on their store. As you may have noticed, these products are cheaper off-brand version to popular versions that are found on their store. Amazon packages, lists and sells these products as other products listed on its websites. One of the reasons why their products are so cheap is because of the cheaper to produce and ship eco-friendly packaging system. Amazon doesn’t have to compete as fierce as other producers as it is already well known and most users assume that their products are of high quality. Most of the products Amazonbasics produces are clones of best-selling commodities that are made cheaper to appeal to those who can’t afford them. Some of the products they produce include Bluetooth speakers, cables, kitchenware and other small appliances. Below you will find our reviews for the best air products by amazonbasics. Thank you for visiting the Air Geeks!